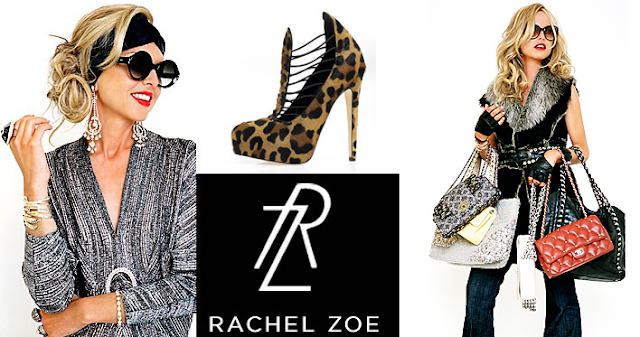 Welcome to RZ HQ – the heart and Louboutin-sole of all things Rachel Zoe Inc.! We teamed up with our lovely friends at Who What Wear—once again!—to take you inside the holy grail of glamness, Zoe Headquarters. While our “office” (a.k.a. other people’s closets) are always filled with rows upon rows of fab footwear, we couldn’t help but be completely sole-struck by the sea of shoes in Zoe’s bureau. I mean, we’ve all “seen” the inside of RZ HQ on the big screen—The Rachel Zoe Project is our #1 guilty pleasure—but, trust us, there’s a whole lot more to that office you haven’t seen. Her L.A. loft has played host to the industry’s best actresses (we’re looking at you, Annie!) and accesszoeries (the bags were BA-NA-NAS!) We died for Zoe’s vintage archives and ashtray collection—but, seriously, would you expect any less from the Queen of Decades? From the branding office to Zoe’s personal workspace, we got deep inside Team Zoe's wondrous workshop. And there’s plenty of creative juices flowing out of this fashion factory: Style advice from A to Zoe, our daily dose of inbox pleasure, The Zoe Report, a thriving clothing and accessories line and much more. All we can say is that it’s a good thing she’s got Camp Zoe (or Zoe-bots, as we like to call ‘em) behind her—headed up by prez, hubby (and our BFF) Rodg—to help crank out one glam project after another. And with that, we give you, Zoe Headquarters... where the magic happens! OMG shoes! People ask me if I get desensitized seeing so many shoes every day, but I don’t think that’s actually possible. No red carpet ensemble is complete without a chic clutch. This is my parking spot sign from when I dressed Anne for the Oscars earlier this year - I hung it up as a memento to one of the dreamiest days of my career. When choosing an outfit, you can really never have too many options with anything. Footwear included. More is more! Another fab pic of shoes! This would make a great screensaver. I am an extremely organized person at work and at home - color co-ordination (especially in one’s closet) is everything. One of my favorite Hermès cuffs in white leather alongside another chic accessory, an Apple keyboard! We are obviously unanimous MAC people at the Rachel Zoe headquarters. This is where the magic happens! My branding office is where I spend most of my time in meetings for my collection and designing. I am big on magazine tears for inspiration. I stick them all on these giant inspo boards in my branding office. I also spy a pair of my favorite vintage Chanel sunnies in the mix - who is more inspiring than Coco? The rumors are true—I have a full-on nail polish rack in my office! Each season, I get sent the latest shades to consider for The ZOE Report and ZOE Beautiful and they needed a proper home. I love the assortment of statement cocktail rings mixed in - because what goes better with a perfect mani than a blinged out hand? Shoe samples from my resort 2012 collection - so major! - next to one of my favorite chain-strap Chanel bags, that I was carrying the day of this shoot. Behind them is the Women’s Wear Daily issue I was on the cover of earlier this year! My team surprised me and framed one for every one of my four offices. An aerial view from the loft in my office overlooking the first floor. I love how open and airy the space feels - but also cozy, because I want all of our visitors to feel at home. 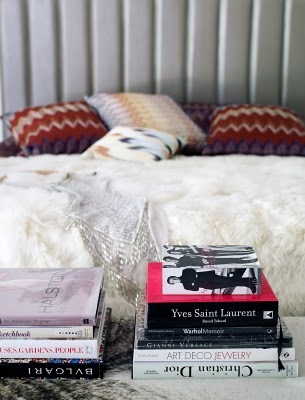 Obsessed with this vintage mirrored coffee table! 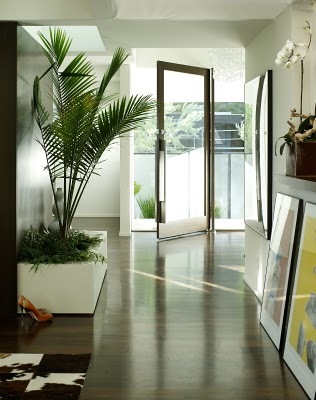 Mirrors in every form instantly add glamour to any home or office setting. 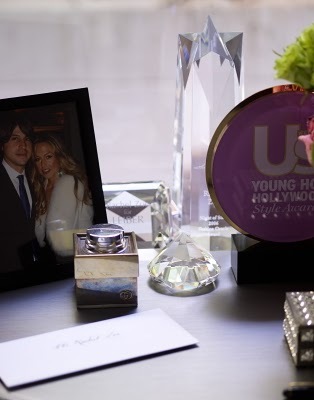 A glimpse of my actual desk in the loft of my branding office! Of course, I spend most of my time on my feet, so the Vice President of my company, Mandana Dayani, gets more use out of it than me! A peek into my office of vintage archives, aka, my second closet! It is the greatest source of inspiration when designing new looks. Reference the past to see what works and what doesn’t. Rachel Zoe’s Resort 2012 collection shows her signature style of wide leg jeans, long sleeve blouses and maxi dresses, the collection is full of items that are very wearable and of course uber-stylish. She knocked it out of the park! Have a look ! 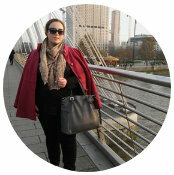 I have a feeling you will find at least one item you could add to your wardrobe, and more than likely, many more. It’s bananas. Celebrity stylist and reality star Rachel Zoe makes a cameo during Blair’s 20th birthday party on Gossip Girl only to get doused in chocolate. Loves it. 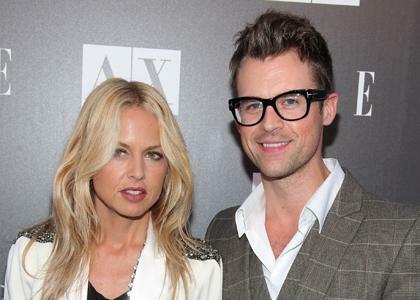 “Bananas!” Celeb stylist Rachel Zoe and her bow-tie clad assistant Brad Goreski have sadly decided to go their separate ways, effective Oct. 1. “I love Rachel and she’s taught me everything I know,” Goreski, 33, tells PEOPLE exclusively. “But there’s a point where either I do it now or I’ll never know what it’s like to spread my wings and soar.” Breaking the news to Zoe about a month ago was nothing short of “major.” “We couldn’t stop hugging and we couldn’t stop crying,” she says. “He did this with such class and elegance. And I get it. I just told him, ‘I’m here for you always.’” Goreski is counting on that. “I hope she’ll continue to teach me more and more,” he says. And while the dynamic duo’s frenzied pace has been constant fodder for Bravo’s The Rachel Zoe Project, filling Goreski’s designer shoes will be no easy feat. “We have a relationship that’s not normal. I jump into bed with him and wake him up and we have these pow wows and he’s like, ‘Wow, I haven’t brushed my teeth,’” Zoe says. “I don’t want to hire somebody for the purpose of the show, we just got lucky. No one’s ever going to be Brad to me"
I DIE !!! AMAZING RACHEL ZOE !!! Rachel Zoe is back !!!!!!! !